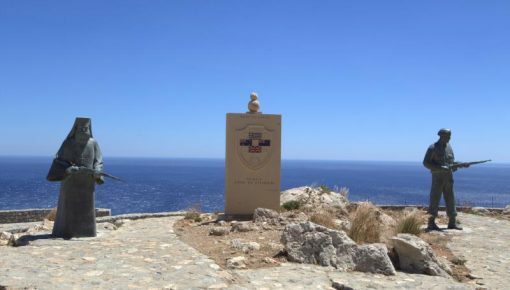 Triopetra in Rethymno is located 52 km south of Rethymno city and 13 km from the village Akumia. The place offers outstanding scenery with its characteristic rocks emerging from the blue waters and it disposes two beaches: Megali Triopetra (Big Triopetra) at west and Mikri Triopetra (Small Triopetra) at east. Basically is a beach divided into two bays by a peninsula ending in the three rocks. 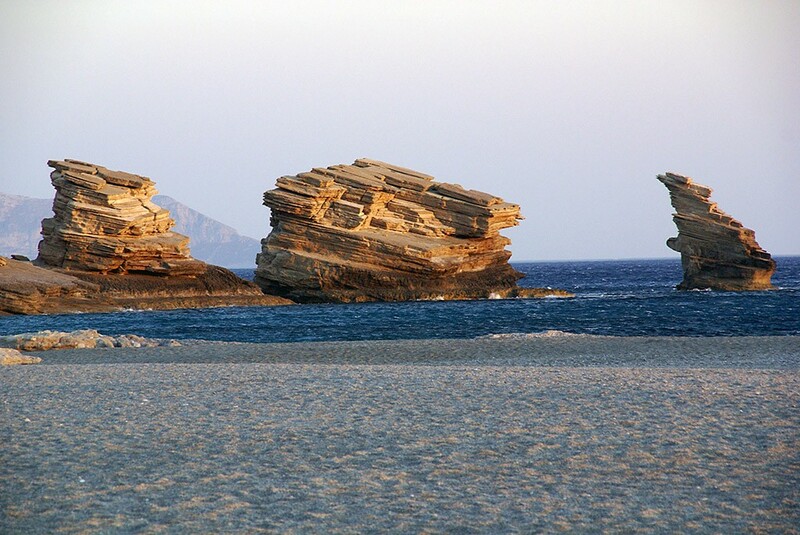 The beach got its name from these rocks which the impressive geological shapes. Close to the rocks, there is a wonderful, big cave which you may visit and rest under its shade. The beach has fine sand, clean blue crystal waters and an idyllic sunset, so it is an ideal place for quietness, relaxation and isolation. That’s why the place has a yoga center retreat where, during the summer months, someone can attend yoga courses at the beach or in the yoga center. 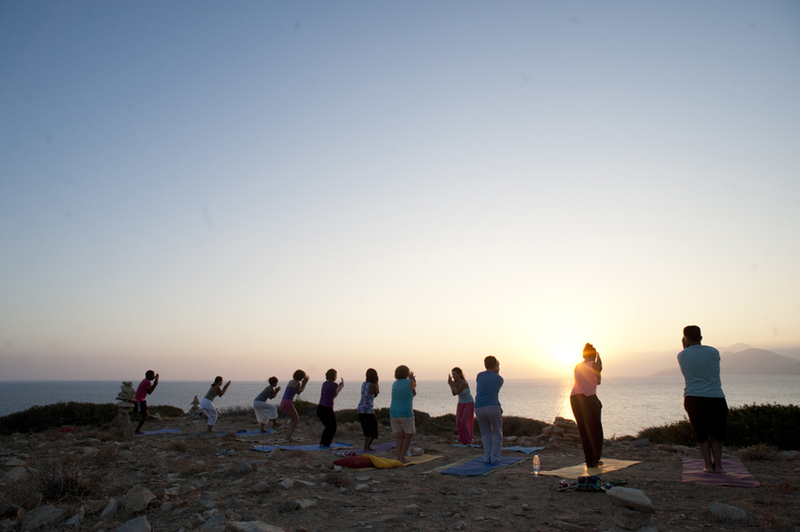 The people of the yoga center also organize meditation evenings under the starry sky. 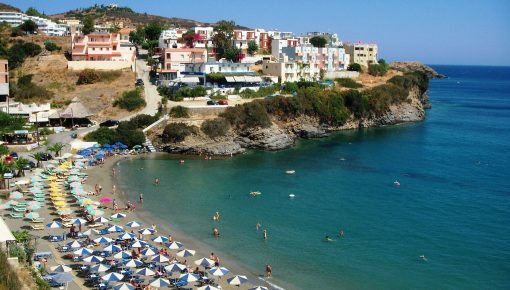 Mikri Triopetra is quite organized with umbrellas, sunbeds and showers. At the eastern part of Mikri Triopetra, there is a small cove, called Stomio. The eastern part of Megali Triopetra is also organized with a few umbrellas, sunbeds and showers. In the area you will find some taverns where you can enjoy traditional Cretan food and homemade raki. 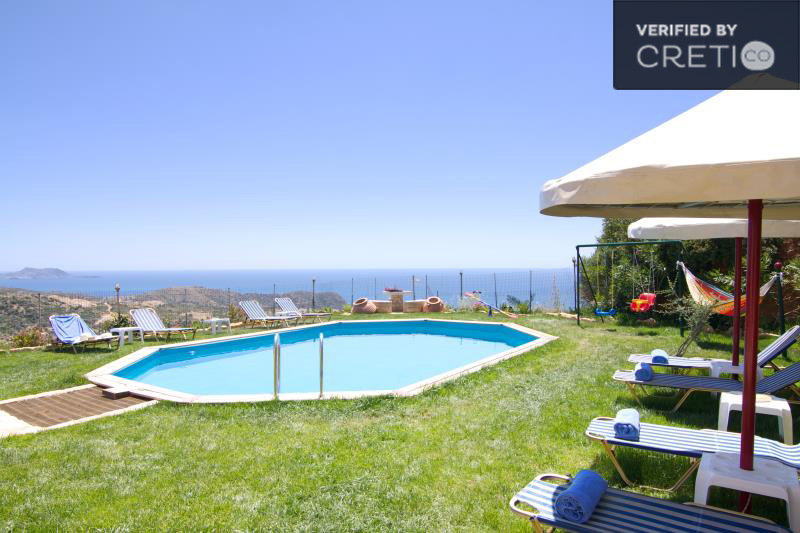 You can find a variety of traditional holiday villas in Triopetra with private pools. Most of the stone-made villas are located only a few meters from the beach and offer a wonderful view of the idyllic landscape. You can find many nice beaches near Triopetra in Rethymno where you can enjoy a good swim. Agios Pavlos (St. Paul and St. Paul Sandhills) beaches are on the coastline of the village Saxtouria. They have sand, dunes, sea caves and blue waters. A part of Sandhills beach is also used by skinny dippers. 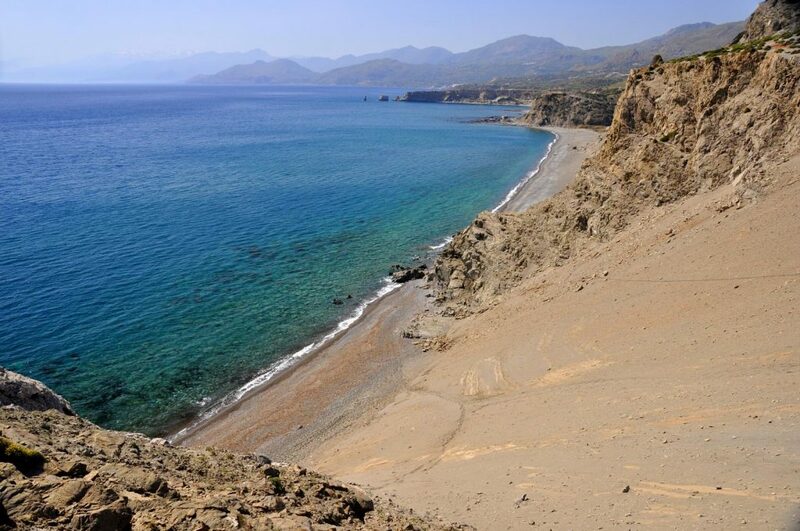 The beaches of Ligres and Akumia are located 55 km from Rethymno city. Ligres (7 km from Kerames village) is open to the strong south winds and is not an organized beach. There are only a few traditional taverns in the west side. The beach of Akumia (12 km from Akumia village) is a quiet beach with sand and pebbles which is offered for spearfishing and exploration. This beach is not touristic and it is mostly visited by the locals. 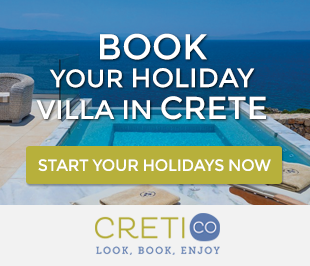 Posted on 10 Oct 2014 in Rethymno and tagged Beaches In Crete, Beaches In Rethymno, Triopetra.